Man! Between dogs and sewing I’m spending a load of money…and I’m retired, what does that tell you? Last week I toted my big combo machine to my sewing class. The machine weighs 38 pounds. The rolling bag it goes in weighs about another 10. Lifting all that in and out of the car and up and down on the table is not good for my aging back. It so happened that Ronnie and I both arrived home at the same time that day so he unloaded the car for me. I told him that I know we weren’t made of money but I just can’t carry that machine around every time I go to a class (which I hope to be fairly often now). He thought I had gone to a class about that machine and that was why I’d taken it. He said he agreed that I should not carry that machine (the most expensive one I’ve ever owned) around in the car in case I damage it or someone runs their car into mine and damages it. I never expected him to agree so readily to buy me another sewing machine. You could have knocked me over with a feather! So, on Friday (first chance I had) I went sewing machine shopping. The second place I went I bought a Pfaff. It happened to be the same dealer I bought my Babylocks from; they also sell the Pfaff line. I didn’t even get to take it out of the box on Friday (too much going on). On Saturday I played with it a bit and was greatly underwhelmed. I really didn’t care for it much at all. Wah! 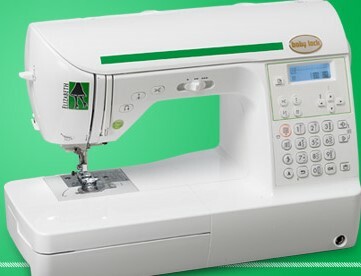 I thought, well, maybe it’d grow on me, but I happened to read a post on a sewing forum that said a new machine should “sing to you”. This new machine didn’t sing to me or anyone else around here. It didn’t even hum! How was I going to tell Ronnie after he’d been so wonderful about it all? I researched all night trying to figure out what machine would do if the Pfaff didn’t. Even after taking a sleeping tablet I didn’t sleep. By the time Ronnie got up at 3:30 to go to work I had the machine packed in the box and he loaded it in the car for me. I lay down about 5:30 and slept for a few hours then took it back to the store. I didn’t know how the dealers would react since they’d already registered the machine to me. To make a long story short, they were wonderful about the whole thing. Since I knew the exact machine I wanted (another Babylock) and it cost a little more, all I had to do was to pay the difference and it was a done deal. Whew! I expected to have to pay a restocking fee and the difference in price, so that was a big relief. Cost another $216 dollars and I took her home. And I love her!!!!!!!!! She sings for me. I’ve already drawn up a pattern and have her threaded and ready to go. If I can get a break from these dogs I’m gonna sew, sew, sew. Today the puppies went back to the vet for their next vaccination boosters. The bigger one, Keira, is up to 5.3 pounds; the smaller girl is at 2 pounds even. The vet said they think they have an adopter for Keira which would be wonderful since she has to share love with the other animals here and with the new lady she’d get all the love. 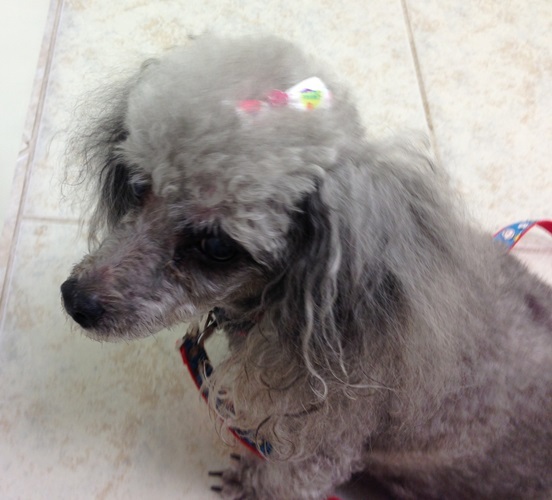 The lady had to put her elderly Chi to sleep this morning and was so distraught, but brightened when told about Keira. Sounds like just the thing to mend a broken heart! Right after I got home I received a phone call from Buffy’s family. 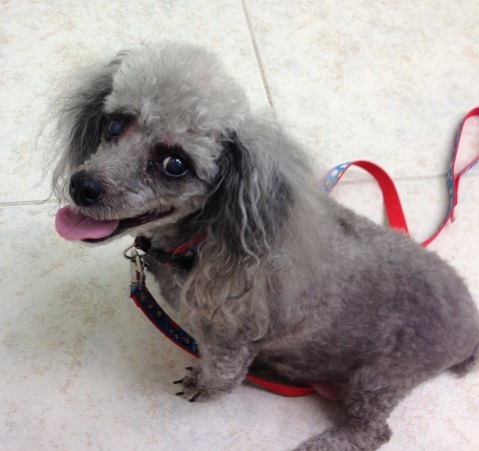 Her human momma had had a heart attack and passed away; could I please come get Buffy? I didn’t even put any shoes on to walk around the corner and bring her home. Poor little girl doesn’t know what is going on and why she’s back at our house but now this will be her home. Her human dad is very upset with losing his wife but thought first about caring for Buffy. We’re thankful for that. She’ll be cared for here even if it adds to our brood. We’d never leave her out in the cold, but we’ve got to get some dogs adopted!